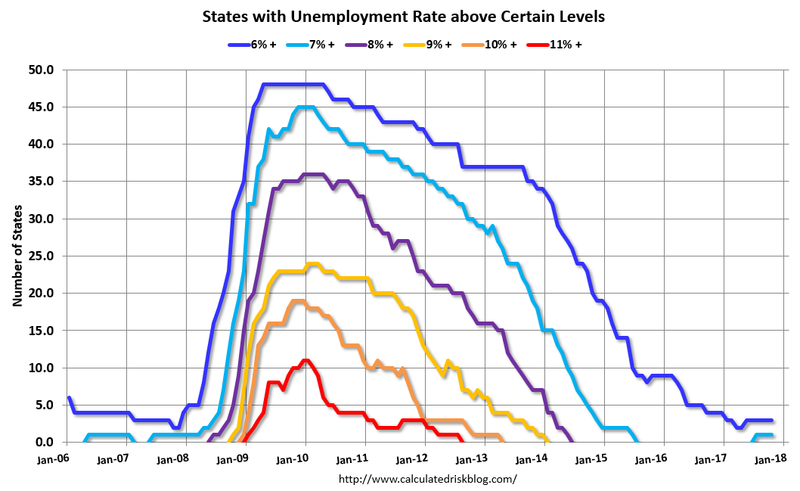 A few weeks after every big monthly job report comes out, more detailed information is released showing a breakdown of the employment gains and losses in each state. 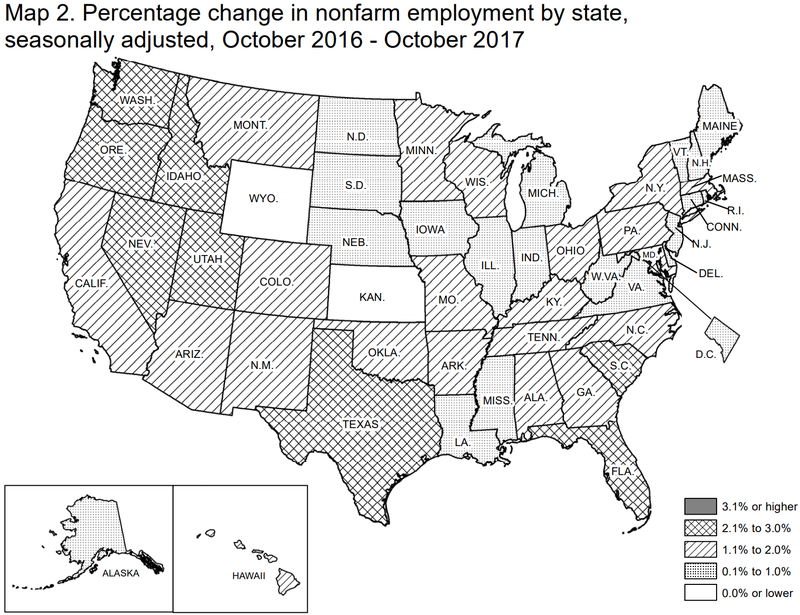 The latest of these extended reports showed that nonfarm payrolls increased in nine states in October, and decreased in three states. The largest absolute gains were found in Florida (+125,300), Texas (+71,500), and California (+31,700), while the biggest (and only) declines occurred in Connecticut (-6,600), Nebraska (-6,600), and South Dakota (-2,400). The substantial gain in Florida last month erased essentially all of the sharp drop that occurred in September caused by hurricane Irma, thus providing more evidence that the storm was only a temporary economic setback. 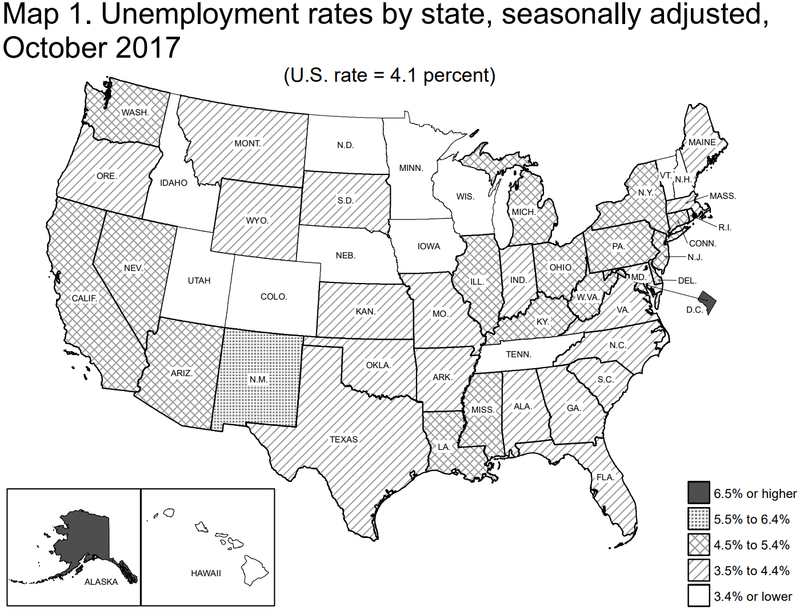 As for joblessness, the unemployment rate fell in twelve states in October, with the largest decrease found in Minnesota (-0.4 percentage point). The rate of joblessness fell to a record low last month in Alabama (3.6 percent), Hawaii (2.2 percent), and Texas (3.9 percent). 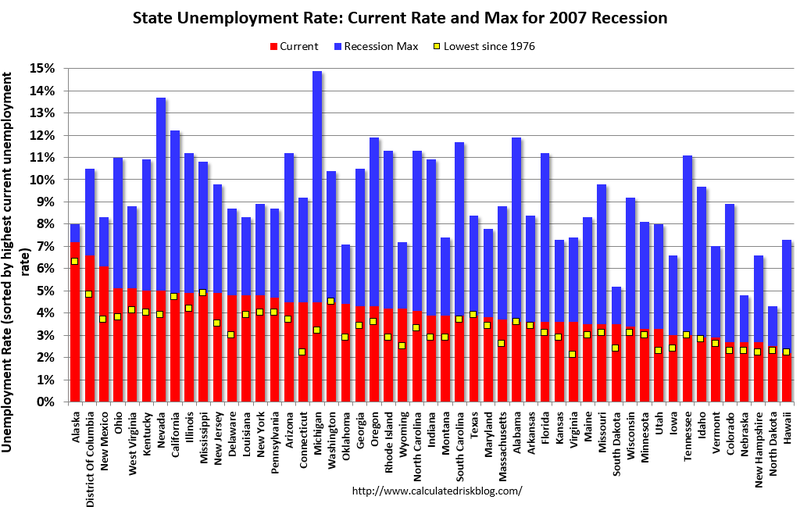 North Dakota was the only state that experienced an increase in its rate of joblessness last month (+0.1 percentage point). The lowest unemployment rate in America in October could be found in Hawaii (2.2 percent), while Alaska had the highest rate of joblessness last month (7.2 percent). 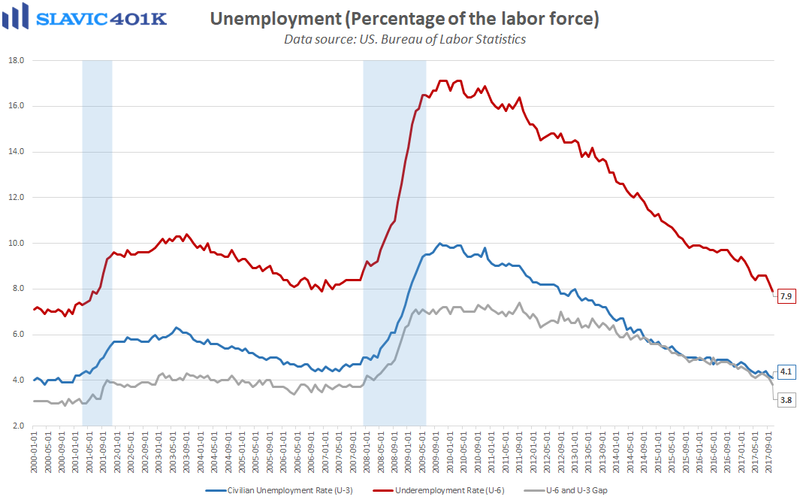 For comparison, the national rate of unemployment (U-3) was 4.1 percent in October.